When it comes to working with images, modifying their size and changing their format are operations that take place hundreds of times. Now you will be able to do it a lot easier thanks to Converseen, a program that has been specifically designed for these two purposes. Free open source program written in C++. Support for more than 100 image formats thanks to the Magick++ libraries that have been used, including among others DPX, EXR, GIF, JPEG, JPEG-2000, PDF, PNG, PostScript, SVG or TIFF, for example. Save time by converting, resizing, and modifying the resolution of your images in batches. The extreme ease with which you will be able to apply these processes to your images and photos make Converseen very recommendable. Its interface has been designed with the objective of clarifying all these functions, with a simple distribution of elements. 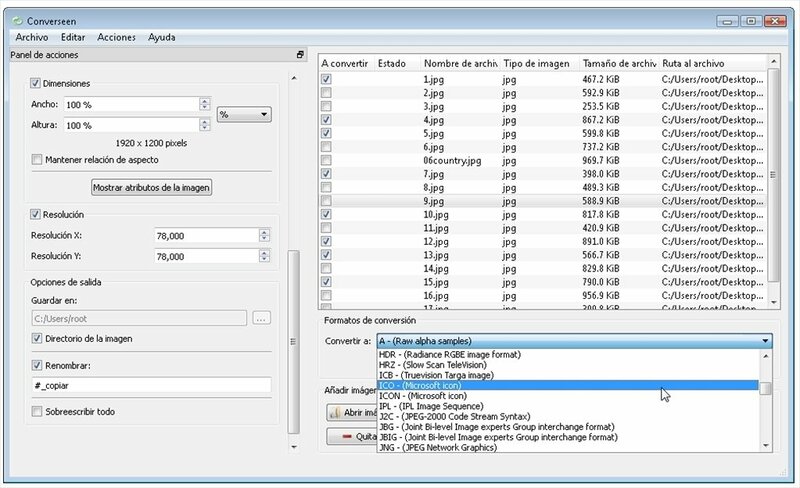 The panel dedicated to the redimensioning of the images can be used independently, and it allows you to change the resolution and the name of the files. 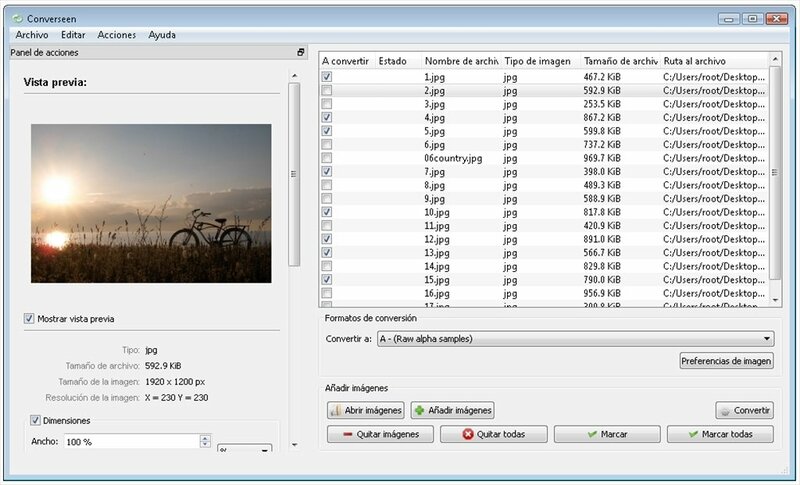 Download Converseen for free and work with image batches. Your photo collection will instantly have a great aspect.